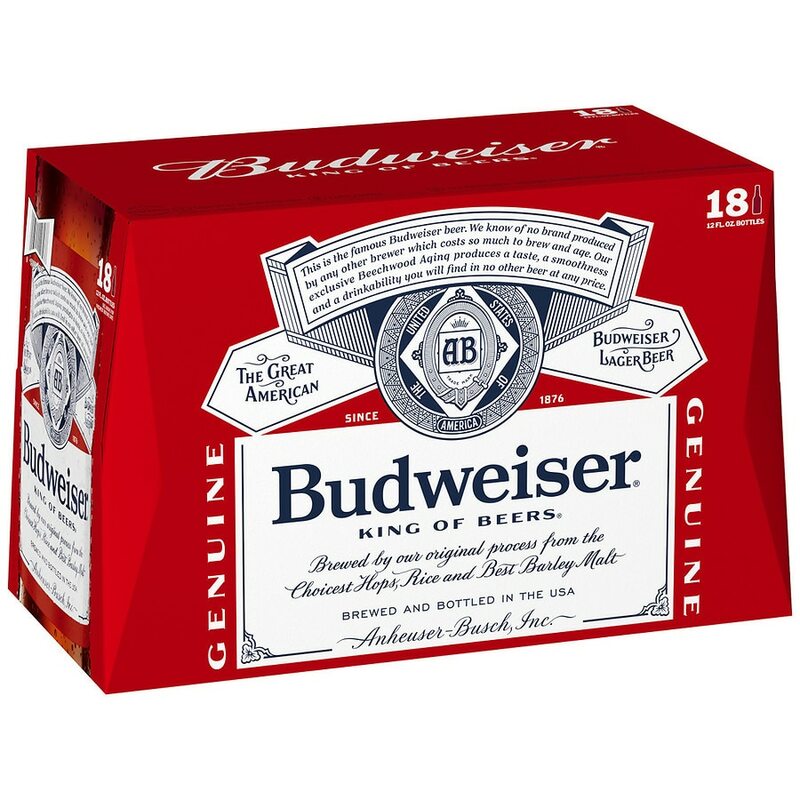 This is the famous Budweiser. We know of no brand produced by any other brewer which costs so much to brew and age. Our exclusive Beechwood aging produces a taste, a smoothness and a drinkability you will find in no other beer at any price. 5% alc/vol per 12 fl oz.